A tiger shark named “Andy” — which was tagged in Bermuda in 2014 by the Guy Harvey Research Institute [GHRI] at Nova Southeastern University [NSU] — has broken the record for distance travelled by a GHRI tagged shark, covering 33,820 miles in 1,113 days – a little more than three years – and is still going. The GHRI has an extensive history of tagging sharks with satellite tags to study their migration patterns and interactions with fisheries. To date, more than 150 tiger, mako and oceanic whitetip sharks have been tagged with satellite tags around the world by GHRI researchers but Andy has surpassed them all. Named after the angler who caught the shark for tagging, Andy has continued to add to the knowledge base of these wide-ranging animals and is still reporting from far out in the Atlantic, near the mid-Atlantic Ridge. Andy and all GHRI tagged sharks can be followed online in near real-time at www.GHRItracking.org. 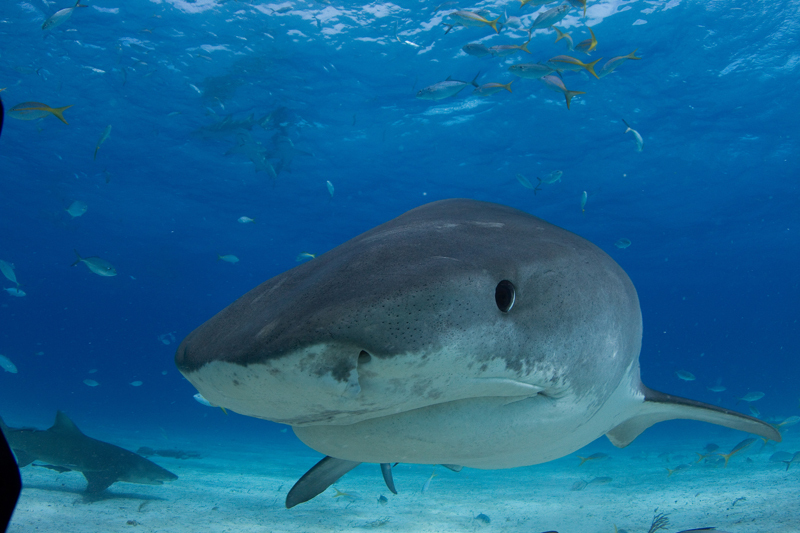 “The GHRI’s western North Atlantic Ocean tiger shark study has shown definitive, seasonal migration paths of tiger sharks between Bermuda and the Bahamas,” the organisation said. Bermuda is certainly “en route”! !